One sunny afternoon in July my 12 year-old son and I headed over to Brooklands Museum. Brooklands is in Surrey in the South of England and is on the site of the world’s first purpose-built motor circuit, which was constructed in 1907. Cars, motorbikes and bicycles all used to race at Brooklands and the site was also used for flight trials in the early days of aviation. During the twentieth century many planes were developed and built here, from the Sopwith Pup to Concorde. Today part of the original track and many of the original buildings survive as listed buildings and Brooklands is a fascinating place to visit. Brooklands Museum is divided into four areas: Motoring Village, Test Hill and the Track, Aircraft & Aviation and the London Bus Museum. We didn’t manage to see everything as I hadn’t realised how much there was to take in, and we only had a couple of hours there – we’ll have to go back another time. There were friendly volunteer stewards all over the place when we visited and they were all keen to share their knowledge about the museum and its exhibits. He was just tall enough to go on the McLaren Formula 1 simulator but we didn’t have time to try it this time. There are various hangars and planes in this part of the museum including a Wellington bomber which was recovered from Loch Ness, one of the Sultan of Oman’s luxurious private planes and Concorde. You can go on board the planes and in some of them you can sit in the pilot’s seat, if the stewards allow you to. 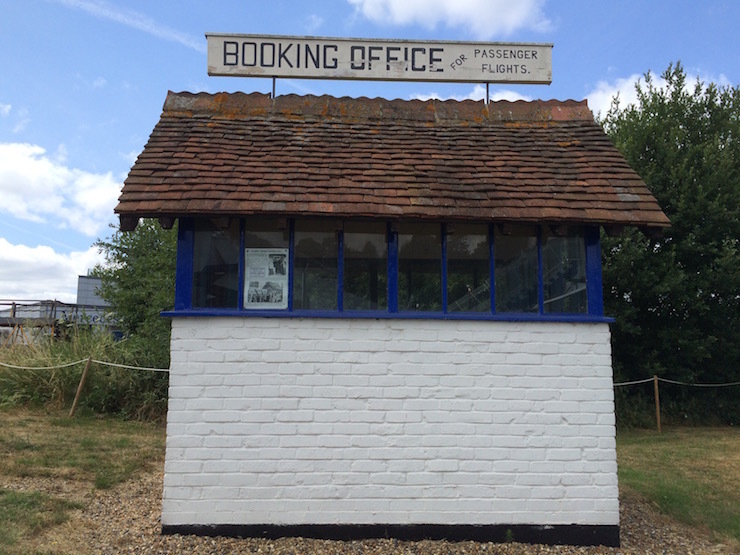 Besides Concorde, the highlight of this section for me was the world’s first flight ticket office, a small hut which was built in 1911 to sell tickets for sight-seeing flights around the race track. Entry to Concorde isn’t included in the museum ticket price: if you’d like to go on board Concorde you need to book and pay at the nearby ticket office. The Brooklands Concorde is the initial British production plane, G-BBDG, and it first flew in 1974. It was the first aircraft in the word to fly 100 people at Mach 2, which is 1350 mph, twice the speed of sound. 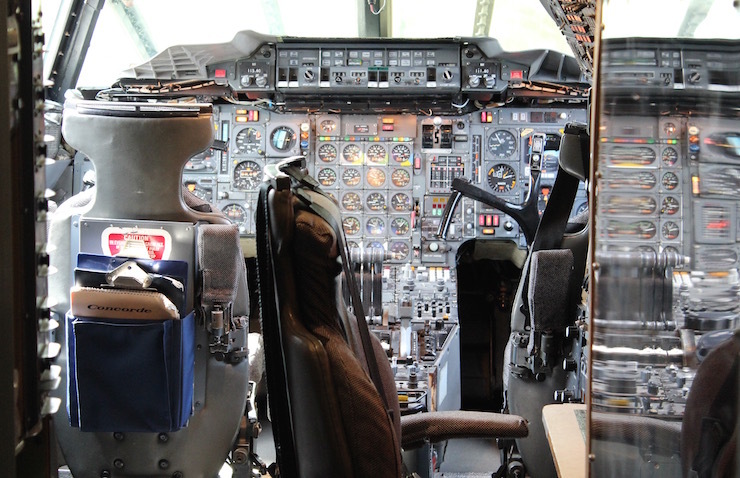 I found the Concorde tour fascinating. Our guide showed us around the outside and inside of the plane, we watched a video about its restoration and then sat and watched a film of a Concorde pilot talking us through a flight, with accompanying sound effects in the cabin. My son was more impressed by the seats on board than by anything else. He said: ‘We should get some of these seats at home’. The London Bus Museum reminded me of Covent Garden’s London Transport Museum. 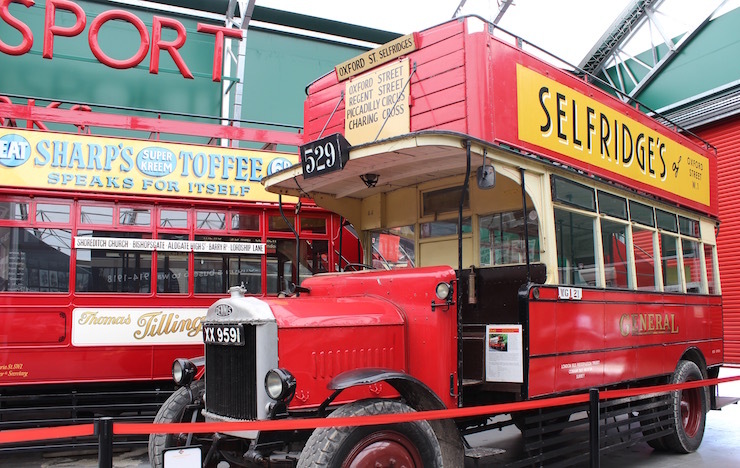 It’s run by The London Bus Preservation Trust and houses a large collection of London buses from the 1890s to the 1970s. My son enjoyed trying out the vintage bus driving simulator, once I’d assured him that it wouldn’t move if he sat on it. We didn’t get as far as this. The Test Hill is a track which was built in 1909 for motoring acceleration and braking tests. The Track is the steepest section of the original racing track – 29ft at its highest point – and part of the 100ft-wide finishing straight. The rest of the original track no longer exists. The museum cafe is housed in the industrial space of one of the original Brooklands buildings and has tables inside and outside. The kids’ hot meals cost £3.95 for a generous half potion of anything they have. My son chose chilli and rice and said that it was tasty, while I had a home-made brie and grape sandwich. Brooklands Museum is a fascinating place to visit and I recommend it. Tickets for Brooklands Museum cost £11.00 for adults, £6.00 for children (5-16) and are free for under 5s. 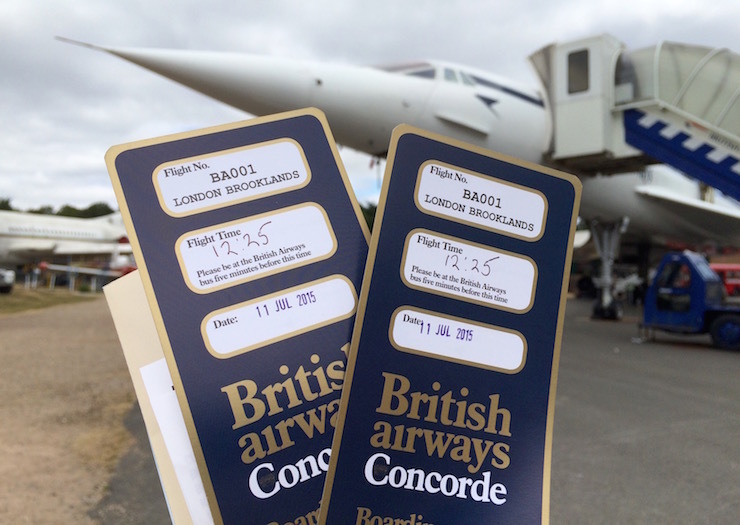 The 30-minute Concorde Experience costs £5 for adults and £3 for children. Disclosure: My son and I were given free entry to Brooklands Museum for the purposes of this review. You’re welcome – thank you for your comment! This would be fab for my son and his two great loves – planes and sports cars! He’d love to go in the Concorde as well. We’ve only ever seen it from the outside at a couple of museums in the USA. It’s fascinating there isn’t it – we stayed at the hotel a few years ago and there was so much more to discover than I had expected. Concorde was my favourite though. There was much more there than I’d realised – we’re going to have to go back.